On 12th of August 1867, Charles V, Duke of Lorraine, and his Imperial Army defeated the Ottoman Army at the foot of the Nagyharsány Mountain. Adam, Duke of Batthyány, was part of the campaign and got to know the area. He later decided to buy land there and received the imperial certificate of donation in 1703. The hamlet of Bóly today is a settlement of roughly 4.000 inhabitants and had been depopulated under Ottoman rule. In 1713, the first Serbian (locally called “raizisch”) families populate the village. German settlement began in 1730 when the families of Johann Promingh and Johann Spoon took up residence. Three years later, a record on local parishes says the following about Bóly: “The village is populated by Germans now who have just started to build their houses...“ Contemporary sources show that the migrants had mostly come from Austria, Württemberg and Swabia to Bóly. Land owner Carl, Duke of Batthyány, established a Catholic parish in 1744 and had a Roman Catholic church erected only two years later, which is dedicated to Saint John of Nepomuk. 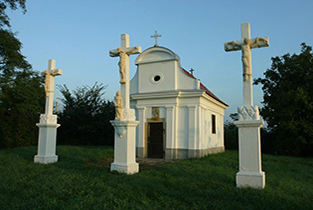 In the following year, the Serbians were re-settled in the neighbouring village of Rác-Töttös. This was thought to avoid conflicts between the different nationalities and thus the German hamlet of Német-Bóly was founded. The shortened name still in use today was given to the city after World War II, after large parts of the local German population had been dispossessed and displaced. At the town’s centre, the seemingly inornate neo-classical castle, which was completed in 1806, is located. The rule over Bóly was part of Countess Julianna of Bathyány’s dowry when she married Prince Wilhelm of Montenuovo. After World War II, the aristocratic family was dispossessed and the castle was turned into a home for mentally challenged children. 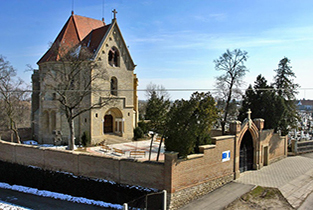 The most precious historical building of Bóly is the neo-gothic mausoleum (1879-1894) of the Montenuovo family which is located on the northern wall of the graveyard. 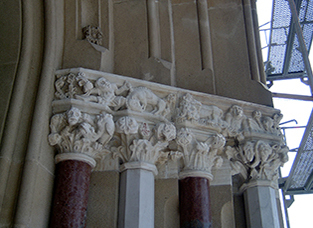 Its professional restoration was awarded the “Europa Nostra“ price. As soon as the late 18th century, Bóly had an extraordinary number of craftsmen. However, the owners only allowed the establishment of guilds in 1820. Then, four guildhalls were founded: 1. The needle-guild for tailors, shoemakers, knitters, lorimers, furriers, ropemakers and glovemakers; 2. the construction-guild for carpenters, binders, blacksmiths, locksmiths, glaziers, brick masons, tinner and potters; 3. the millers-guild and 4. the bakers-guild. The first vineyards, licensed by the sovereignty, were established in 1809. In the last two centuries large viticultural areas were created. The importance of winegrowing is also illustrated by the wineries on the road to Szajk. The Swabians of Bóly still cultivate the tradition of Emmaus: on Easter Monday, families invite their relatives and friends for an afternoon in the vinery and pass the time until the evening with food and drinks. 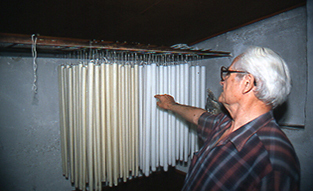 One of the city’s many crafts: candle drawing. The neo-gothic mausoleum (1879-1894) of the Montenuovo family. The granarywhich belonged to the families of Batthyány and Montenuovo is one of the oldes buildings in Bóly. 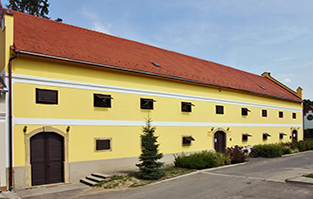 In ist celler, the vinery of the association “Mohács-Bóly’s White Wine Street“ is located. On the second floor a permanent exhibition on the local history and folklore can be visited. For those interested in the history of the Germans of Hungary, Bóly holds a hidden treasure in stock: the fresco of the local artist Robert König in the common room of the old mill. 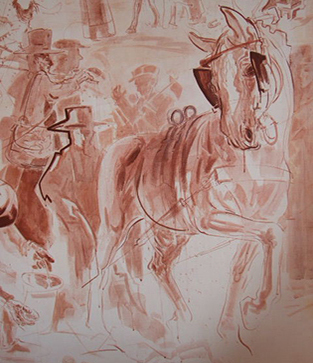 The artist depicts the epic of the local Germans of Hungary from the settlement until the late 20th century in a way that is both original and whimsical. The units of the cycle for example show the piety, the craftsmanship, the vinery, the bourgeoisie and the musical culture. Appointments to see the fresco can be made at the local tourist information.